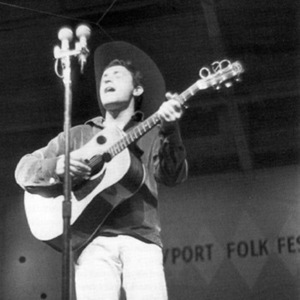 One of the last true links to the great folk traditions of this country, with over 40 albums under his belt, Ramblin' Jack Elliott is considered one of the country's legendary foundations of folk music. Long before every kid in America wanted to play guitar ? before Elvis, Dylan, the Beatles or Led Zeppelin ? Ramblin' Jack had picked it up and was passing it along. From Johnny Cash to Tom Waits, Beck to Bonnie Raitt, Ry Cooder to Bruce Springsteen, the Grateful Dead to The Rolling Stones, they all pay homage to Ramblin' Jack Elliott. Long before every kid in America wanted to play guitar ? before Elvis, Dylan, the Beatles or Led Zeppelin ? Ramblin' Jack had picked it up and was passing it along. From Johnny Cash to Tom Waits, Beck to Bonnie Raitt, Ry Cooder to Bruce Springsteen, the Grateful Dead to The Rolling Stones, they all pay homage to Ramblin' Jack Elliott. In the tradition of roving troubadours Jack has carried the seeds and pollens of story and song for decades from one place to another, from one generation to the next. They are timeless songs that outlast whatever current musical fashion strikes today's fancy.